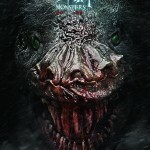 Information regarding a Chinese horror film that had its cinema release in June last year has recently crept onto IMDb. Though details remain scarce and rather opaque, the Backbrain has pieced together what is so far available, thanks to expert Kaiju newshound, Avery Guerra. 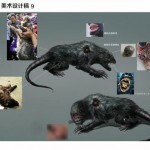 The film is titled Monsters, or Yi zhong, and it appears to offer up a new take on an old trope — the rat-infested building. 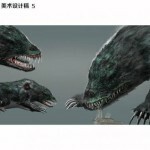 These rats, of course, are mutated monstrosities. 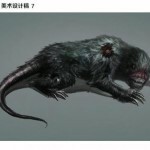 Do rats make effective monsters? 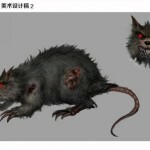 Though small, the Rat has occasionally taken on the role of a monstrous threat in cinema, due to the vermin’s tendency to arrive on the scene en masse — generally emerging from the sewers, which in this instance is a stand-in for the Monster’s chthonian origins, that is, “the underworld” or Hades. The Rat’s role as plague-bringer (most famously during the 12th Century Black Plague epidemics that swept Britain and beyond) has resulted in the much-maligned rodent being well-and-truly seen as a terrible enemy (even if it was the fleas it carried rather than the rat itself that was a problem). F.W. Murnau‘s famous Dracula stand-in, Nosferatu, for example, arrives in England along with a horde of rats — a symbol of the monstrous vampire as plague-carrier [see Nosferatu, eine Symphonie des Grauens (Germany-1922; dir. F.W. Murnau) and Nosferatu: Phantom der Nacht (West Germany/France-1976; dir. Werner Herzog )]. Top among effective Rat-centric horror films, however, are probably Willard (US-1971; dir. Daniel Mann) and its sequel Ben (US-1972; dir. Phil Karlson). Both films are based on the Stephen Gilbert novel, Ratman’s Diaries, and feature the Rat as loyal friend, accomplice to murder, and deadly ally. Though the Rat may not get top billing in many films, it does lurk in the background of rather a lot. For example, any scene set in a sewer, in whatever genre of film, will inevitably drop in a rat or five, even if briefly. It makes for a nice jump-shock moment that deflects viewers from the hero’s real danger. 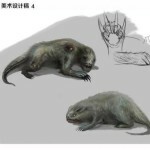 Even more to the point of this article, however, the Rat has been rather surprisingly neglected in the history of over-sized critter cinema, having been generally ignored in favour of reptilian and chimeric monstrosities. The ones that do exist tend to be relatively minor flicks featuring mutant rats — often human/rat hybrids — or rats the size of dogs. Examples include Deadly Eyes (Canada/Hong Kong-1982; dir. Robert Clouse), Of Unknown Origin (Canada/US-1983; dir. George P. Cosmatos), Demon Rat [aka Mutantes del año 2000; La Rata Maldita] (Mexico-1992; dir. Rubén Galindo Jr.) and Mulberry St. (US-2006; dir. Jim Mickle). 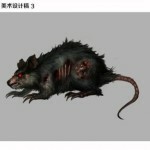 These are characterised by typically house-bound plots, featuring rats that have been mutated and are large, distorted, or smarter than normal, menacing folk in a confined space — houses, apartment buildings or research establishments that are the site of forbidden experiments in monster-making. There was also some decent giant rat business in one of my favouite Doctor Who episodes: The Talons of Weng-Chiang (in the sewers of London, of course). Bigger cinematic rats take charge of the mayhem in Food of the Gods (US-1976; dir. Bert I. Gordon) — the result of a dubious experiment to cure world hunger by genetically enlarging food sources (the big rats are an unwanted side-effect). Gordon’s film bears little resemblance to H.G. Wells’ original political/social satire SF novel, of course (though both had giant rats in them so by Hollywood logic that makes them identical). More recently, Rat Scratch Fever (US-2009; dir. 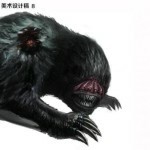 Jeff Leroy) gets much closer to the kaiju tradition of giant beasties, in a tale of alien rats that grow really big once let loose on Earth, and go on a rampage to celebrate. 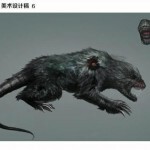 As you can see from the trailer below, Rat Scratch Fever is low-budget exploitation, but it has lots of action and plenty of exuberant giant rat destruction. 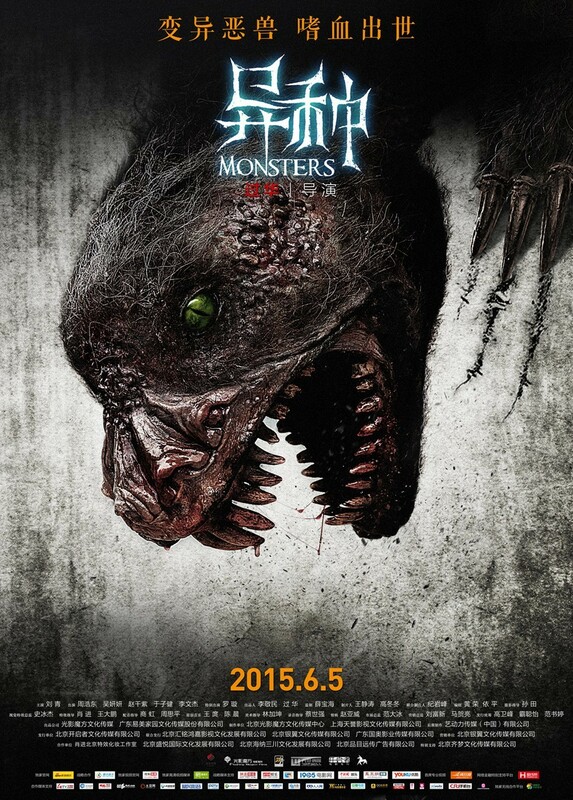 However rare the Rat as Large Monster has been in the past, Chinese director Hua Guo has apparently decided to join the party, with his film Monsters [aka Yi zhong]. Though little information is available, going on available images (see below) the film features some very effective mutant rat monsters along with a second minor source of horror: elevators. As far as I can ascertain (based on an IMDb plot summary), the plot goes something like this: a real estate sales manager, Jia Ying (played by Qing Liu) — who is described as “mean and indifferent” and, not surprisingly (and perhaps irrelevantly), “remains single” — has been showing some clients around the building. She returns to fetch the mobile phone she left behind, and, on entering the elevator again, is trapped when the elevator plunges downward. When she wakes, trapped among the wreckage, all she has is “a cracked work phone, a lighter and a handbag”. She tries to call for help, but reception is erratic and she can’t remember the number for either best friend or relatives. The elevator, apparently balanced part way up, falls further, and in the crash she injures her thigh. Unable to escape and bleeding badly, she keeps dialing, desperately trying to get through to someone for help. What she doesn’t expect [cue ominous music] is that this “accident” was some sort of conspiracy and that a “bloody monster” lurks in the darkness that surrounds her. 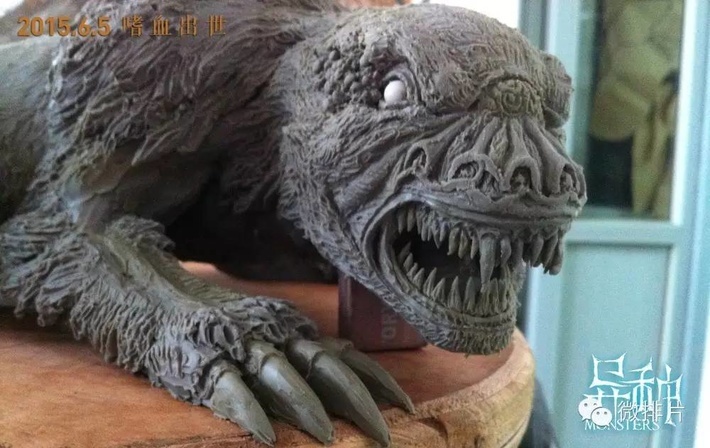 Practical FX as well as CG effects were used in the film. 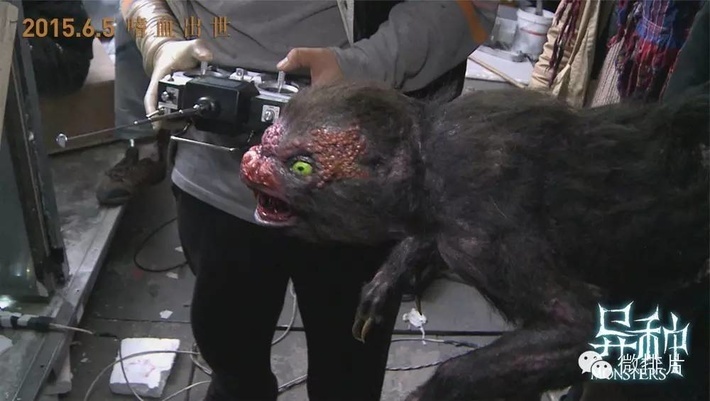 Three different animatronic monsters were made for the movie. One of the above (at least) was very detailed in its construction, with multiple moving parts. 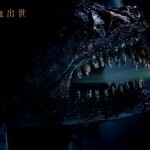 So accurate and detailed are the teeth, for example, actress Qing Liu was left with a bleeding arm after filming a particular scene in which she was attacked by the monster. 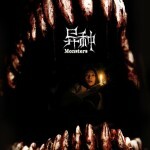 Each “performance” of the monster involved a “trio responsible for the operation” of the animatronic model: a person responsible for directing and coordinating the action, a person responsible for hand control, and a person in charge of electronic remote control for the eyes and mouth movements. For every shot, the controllers had to stop and rest after 15 minutes. 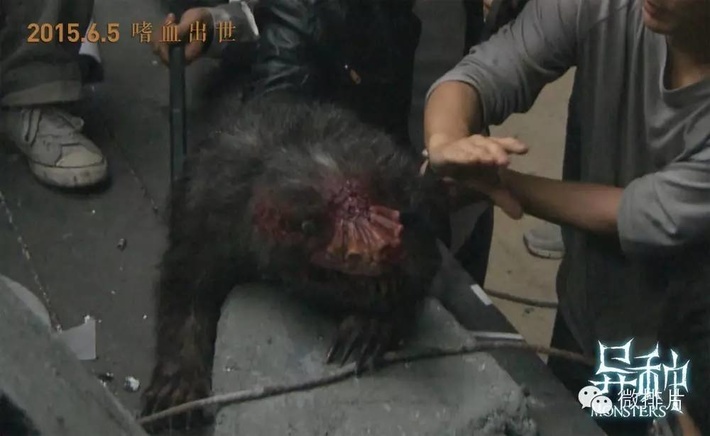 The SFX director was Yuan Jinxin. 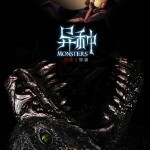 At the moment, I have no idea when, or even if, Monsters is to be released in the West. 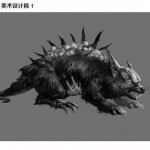 Even though the critters don’t seem be kaiju size, they look pretty effective and I would definitely like to see them in action. If anyone knows more about the film, including corrections to my assumptions, feel free to let us know in the comments. Sources: Special thanks to Avery Guerra; www.taringa.net; practical FX article; concept art; IMDb; wiki page.